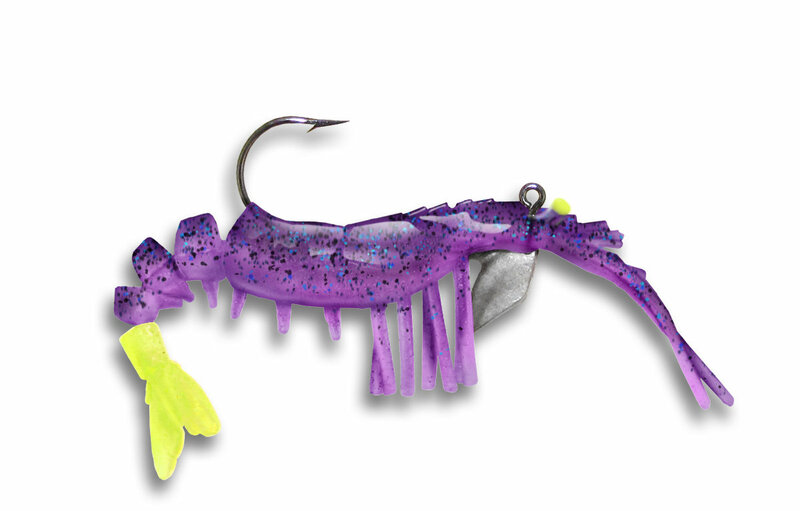 The New Jumbo Vudu shrimp is 4 inches long and comes pre-rigged on a 1/4 oz jig head with a 4X Strong hook. Outstanding under a popping or rattling cork. It also can be free lined off the bottom and trolled using your trolling motor. We recommend light tackle with 10-12 lb test.